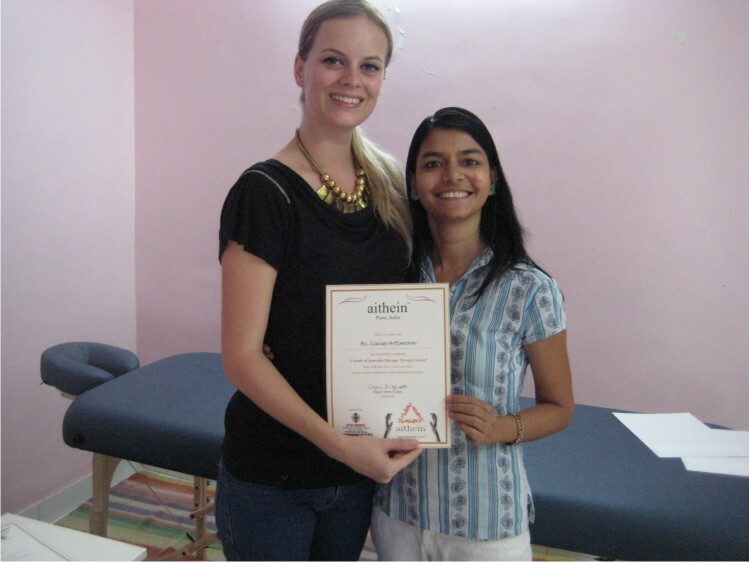 In the following post, I share my student’s and my own experience of an impromptu 2–weeks Ayurveda Massage course in Pune, India. 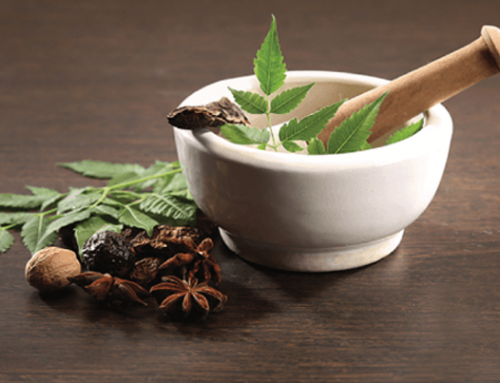 While we usually schedule massage courses during the non-monsoon season between October and April for Goa, we decided to go ahead and conduct an ayurveda course in Pune. 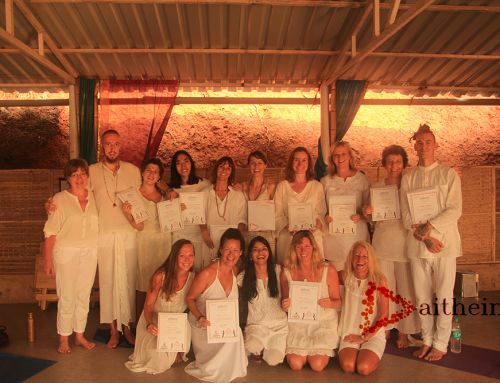 Over the years, through Aithein, I have been able to help shape lives of many students and practitioners by introducing them to the power of healing. It was therefore no surprise, when we got an inquiry from Michel a couple of weeks back, asking if I could teach him the Ayurveda massage course. With the arrival of rain and weather conditions during June-September every year, our beautiful location of Agonda Beach in Goa is not the most suitable venue for conducting courses. Since we had not scheduled anything until late October, I decided to arrange a 2-week Ayurveda course in Pune, Maharashtra. As it turned out, there were two more students looking to learn and willing to join us. Ayurveda is a gift of ancient India. It believes in the power of balance. For the same purpose, Ayurveda massage utilizes nature’s gift of herbal oils and products to provide the right remedy and care. All the three students were just starting out on the path of self-awareness and looking to utilize their learning of Ayurveda massage in their lives and the lives of their loved ones. 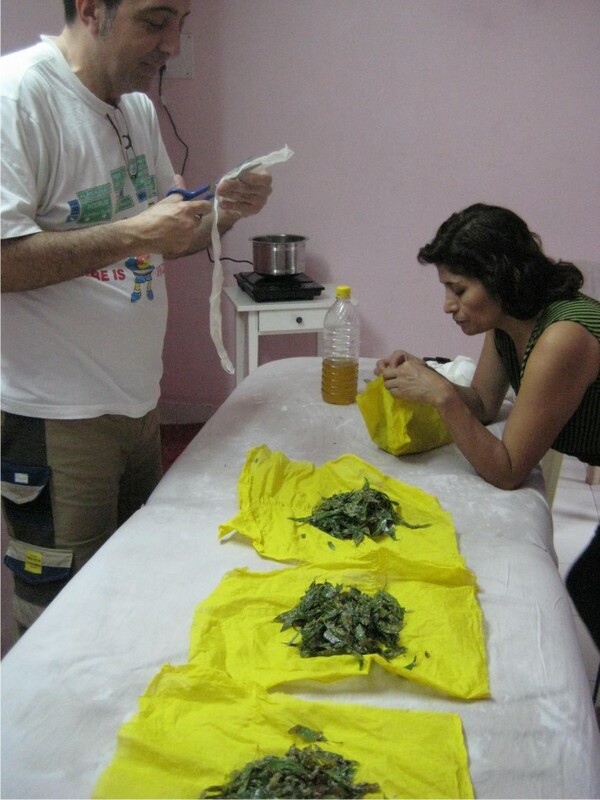 I gave ayurveda training sessions to them and they quickly grasped the concept of Ayurvedic massage treatment and practiced for hours to understand the technique, and the distinct flow of ayurvedic massage movement. Every day they would tell me how the learning of Ayurveda is making them more conscious of what they are eating, what they are doing and were looking to bring consistent changes for the better. After two weeks of ayurveda massage training and practicing, I was really happy when they excelled in their theory and practical exams. But more than that, I was elated that they were looking to bring positive change in their own lives. After all, only a positive healer can become an effective healer. So I hope you enjoyed this…. DO WRITE COMMENTS ABOUT WHAT YOU LEARNED FROM THIS!! I WANT TO KNOW ABOUT HOW AYURVEDA MASSAGE IS MAKING A DIFFERENCE IN YOUR LIFE! I’ll be back with more. Thanks for reading, and see you soon!